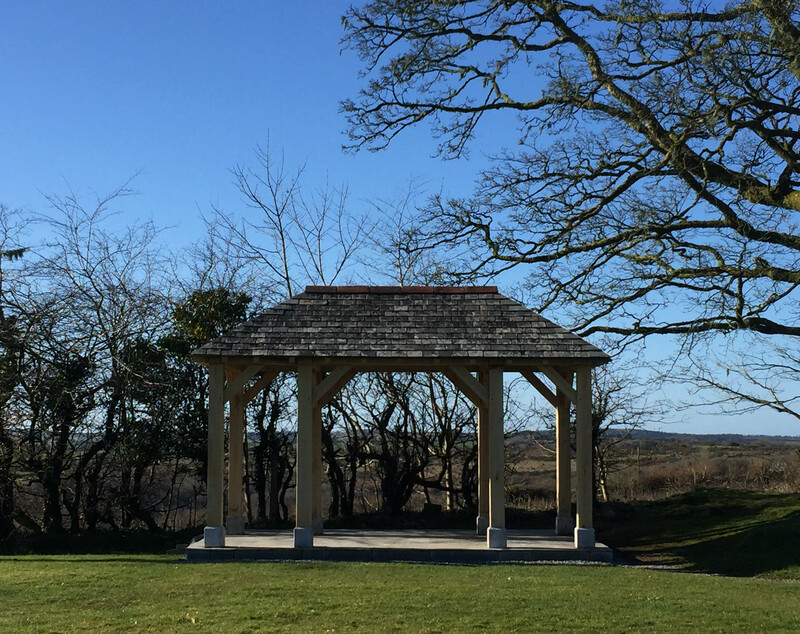 New Arbour for 2016 ! 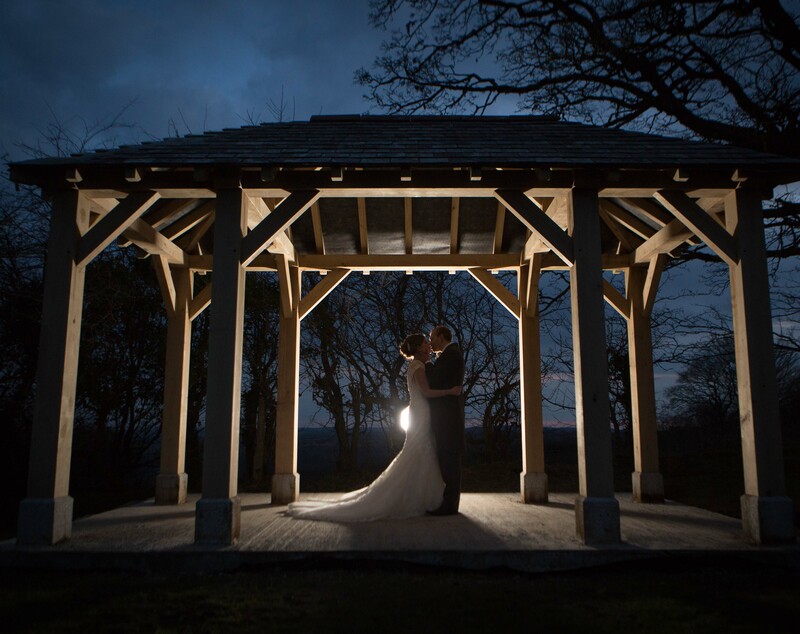 With big blue Spring skies, the first outdoor ceremony under our new Arbour took place on 23rd April 2016! 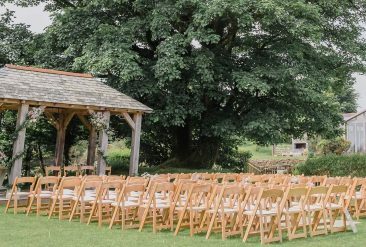 Created using traditional Oak frame building methods of Tenon & Mortise joints & wooden pegs, the Arbour sits beside the ancient Sycamore and pond. 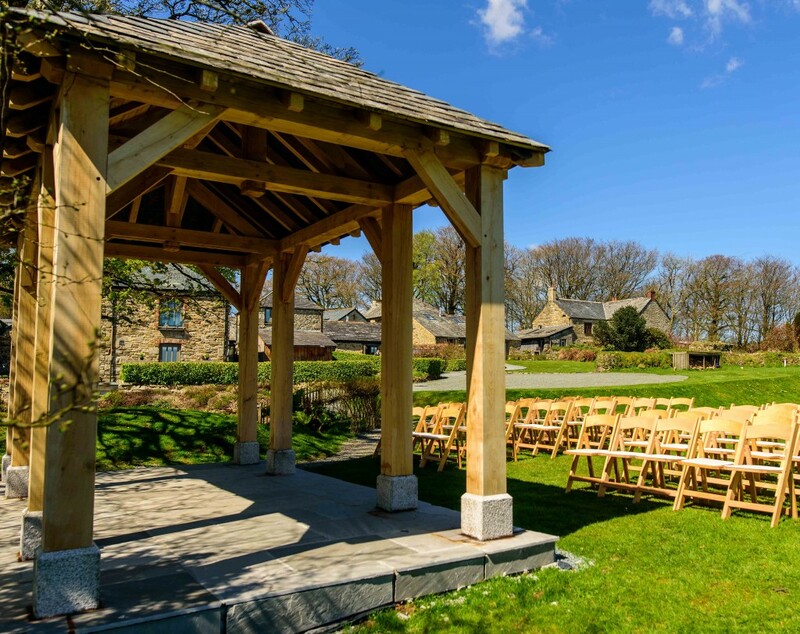 The new Arbour is wider providing more space for the Bridal Party and those reading during the Ceremony. 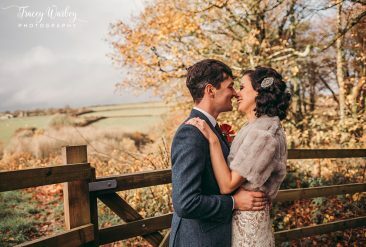 Cornish slates and wood panelling from the original Arbour (constructed in 2008) have been reclaimed within the new Arbour – the memories created under the original continue in the new Arbour and are with us every day. 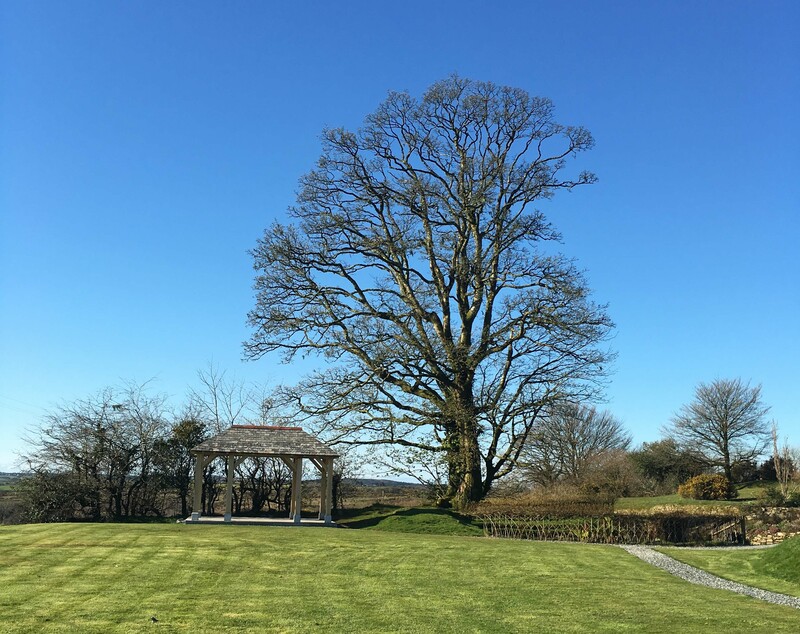 Arbour Lawn & ancient Sycamore Tree, living Willow fence in early Spring April 2016. 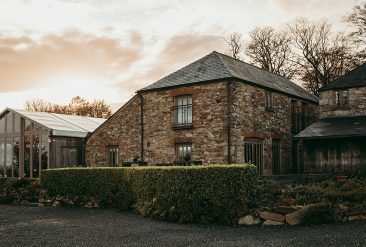 Oak frame, Granite plinths, reclaimed Cornish slate hipped roof, constructed March & April 2016. 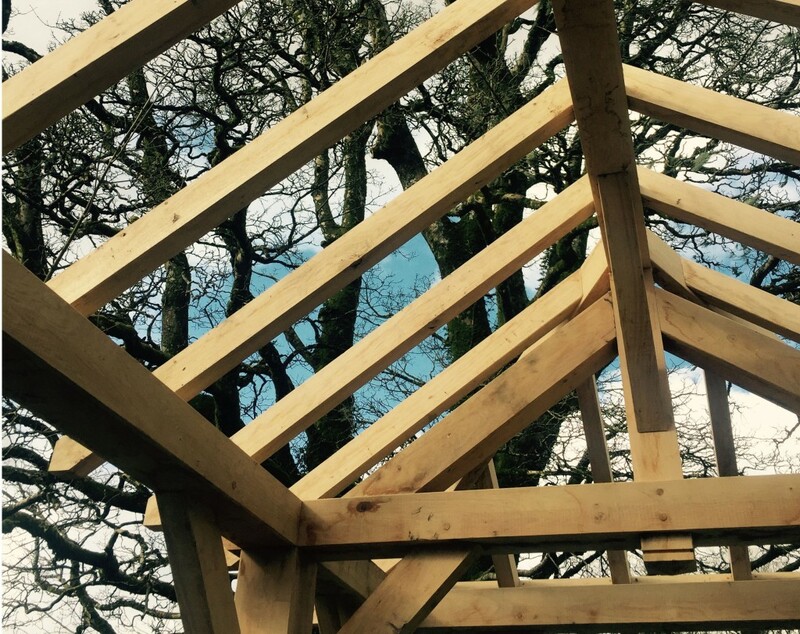 Oak frame structure using Tenon & Mortise joints held together with wooden pegs. 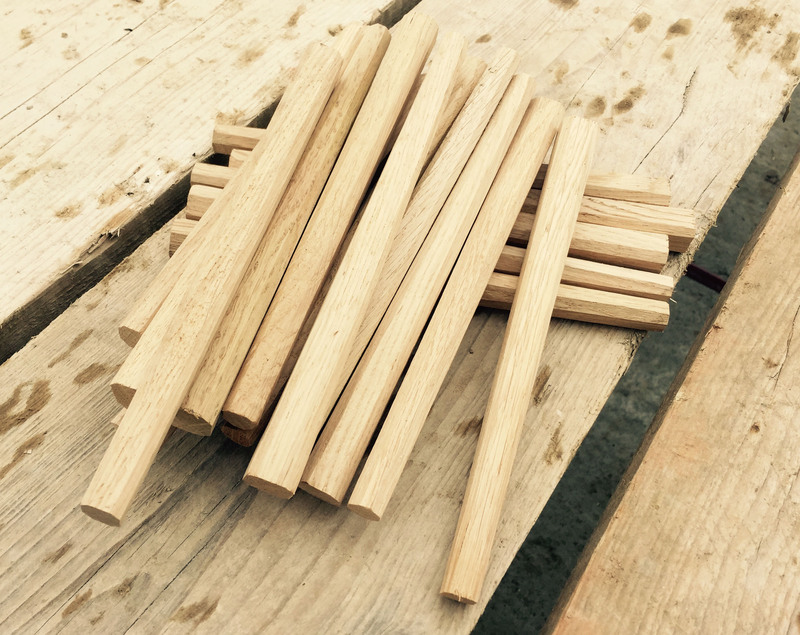 Tapered wooden pegs to hold joints together.